On Monday I gave you a look at Little Yellow Bicycle's new Fern and Forest Girl collection. Here's another page with the same collection. Lots of fun, happy color here. This layout is about Alexa's first dance convention/competition which took place just a few weeks ago. I wasn't able to get many good shots. Most of them were taken with Alexa's iPod, so I went with the best as a 4x6 and then tucked some Instagram photos (of Alexa with her instructors taken during photo op/autograph signing time) into the envelope. I made sure to label each photo so she'll remember who each person is. Here's a closer look at the closed envelope. I labeled it "photo ops" so she'd know to look inside for more photos. Here's the title area in more detail. I added pearls to the flower center to add some texture and dimension, plus I used 3D foam squares to lift the flower center from its background to give it some depth. Thank you for visiting today! I'll be back next week with more projects to share. In the meantime, I'd love to know what you're working on. Link me up please. oh i love that the envelope is holding the other photos- just totally perfect!! 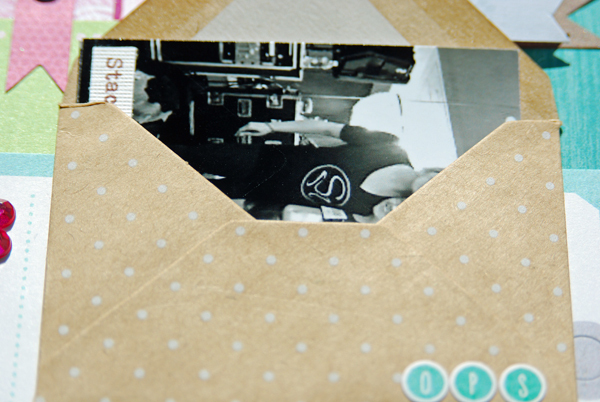 Love the idea of putting the extra photos in the envelope. You decorated and incorporated it beautifully into the rest of your design. She'll treasure these photos someday. Gorgeous!!! LOVING the colors (especially that blue background!!) and loveeeeeeeeeee how you added the extra photos in the envelope!!!! Beautiful page. So many great details. I love the way you used the envelope. So clever and practical too. Great layout ! I love the colors and the pocket. ooooo I love the pink and teal. I love how you got the envelope in there. I have issues with that. Love that you have the photos in the envelope....AND that you labeled the pictures...she will definitely appreciate that later in life! so so cute. Love the envelope!!! Love LOVE the pocket! And anytime there is pink and turquoise together, I'm happy. 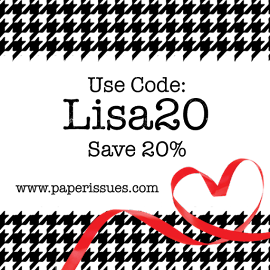 I have a giveaway on my blog. New spring tags I've been busy making. Just click on my name. ;-) And that's what I've been up to. Love the page!! Fun color combo and the use of the envelope is perfect!! I really like your double layered flower, so pretty. Gorgeous page! Love the colors and the extra photos tucked in the envelope! You did a fab job with both of these lines Lisa!! 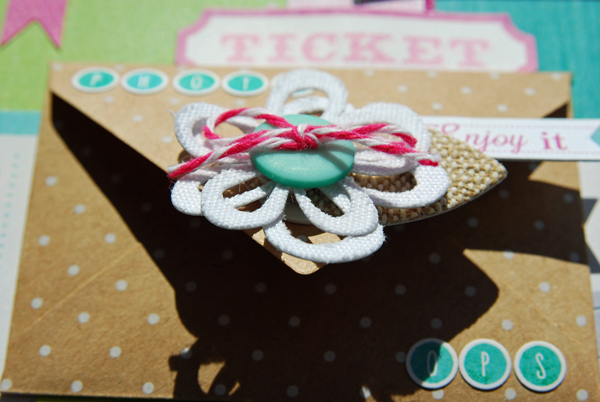 I especially love the use of the little envelope! I always have trouble incorporating those on my pages, but you did it perfectly! What a sweet page - perfect product choices! Fabulous page Lisa! Love your layering style!! 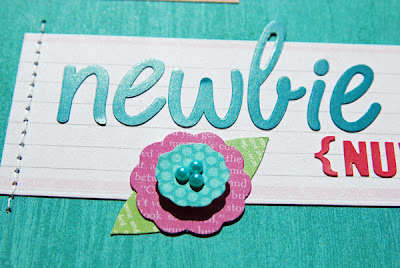 I love, love that color blue with pink! This is fabulous! I love the colors with her costume! Great page. I love the details. Oh my goodness, she is adorable! I know I am going to blink and Emma will be grown! Too fast! I love the colors, layering, and how you tucked the photos in the envelope! I really like how you used the envelope for extra pictures. I have to try that out.